Now it’s time to create a router and set a gateway. What was configured on the nodes by Openstack? 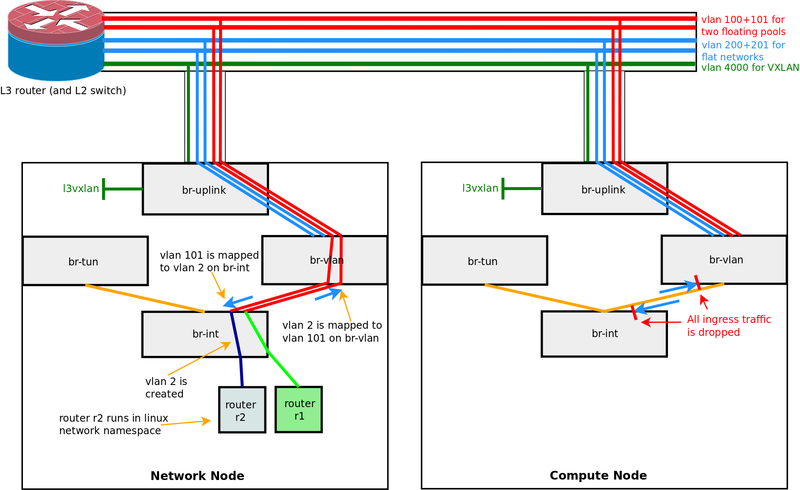 A node local vlan has been set up by Openstack on br-int. 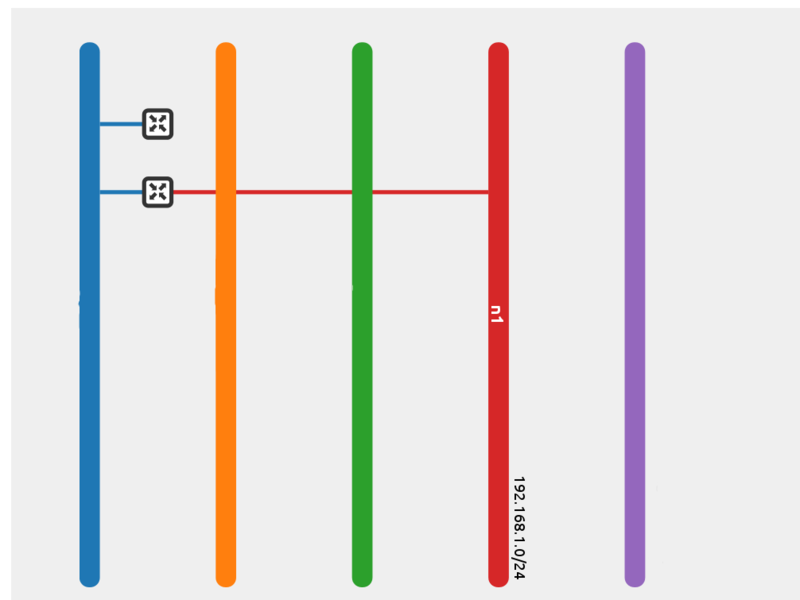 This vlan 1 has to be connected to vlan 100 on our public network. This is done by using two Openflow rules to map Vlan IDs on br-int and br-vlan. The router is running on the network node in a Linux network namespace. The name of the network namespace is build from „qrouter-“ and the UUID of the router [qrouter-4b965826-e67d-4473-8436-a21db3955c38]. Now create a second router and set the gateway to use the second floating pool. 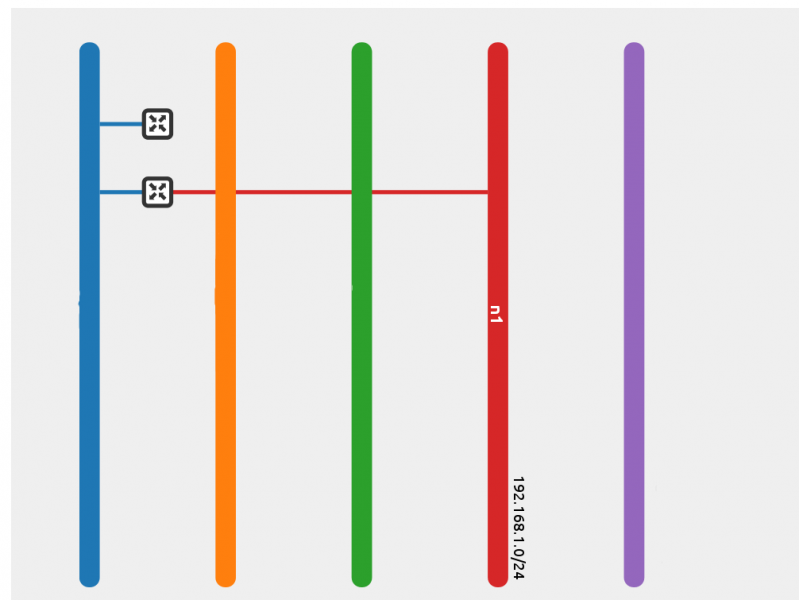 Creating a second router and setting a gateway triggered the creation of a second node local vlan on br-int. 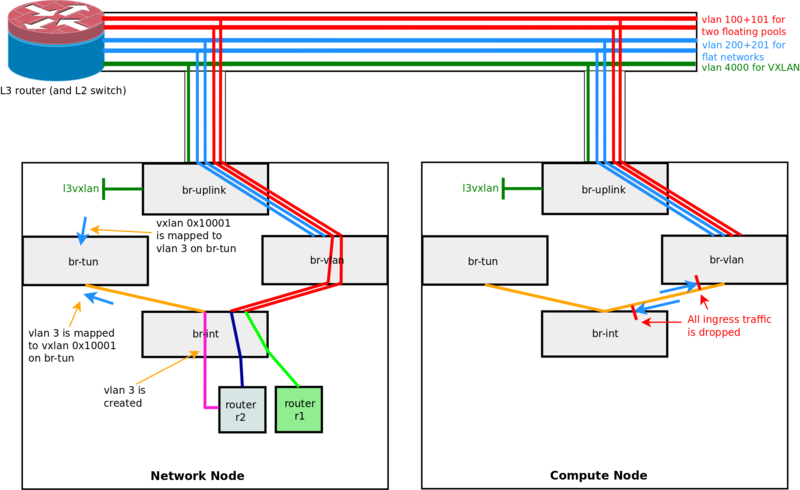 Another set of vlan mappings between the local vlan 2 and the global vlan 101 is created on br-int and br-vlan. On the network node, a neutron namespace metadata proxy (used by Cloudinit) is running in the network namespace of the router. This proxy listens to Port 8775. All traffic, which reaches the router namespace for the target 169.254.169.254:8775 is redirected to this proxy, forwarded using a unix socket to the neutron metadata proxy in the default network namespace, and is then forwarded to the nova metadata proxy service. The two routers are connected to the blue networks in the dashboard view, the red network in the dashboard view has been created by the tenant. This network (n1) is connected to one of the two routers.